The news also mentions that this “E-tutor tablet” is a joint effort of Technopark based e-tutor and Oztern Technology. We spoke to Saiju V. Stella, CEO of Oztern Technology – He mentioned that both these organizations are Private Limited companies with no affiliations to Government whatsoever. It is really sad that papers like Times of India report news so irresponsibly. The title of the ToI news is “Govt launches ‘e-tutor tablet’ @ Rs 7,500” and the only Govt. connection it has to the tablet is that it was launched by Sam Pitroda who is an advisor to Prime Minister Manmohan Singh!! 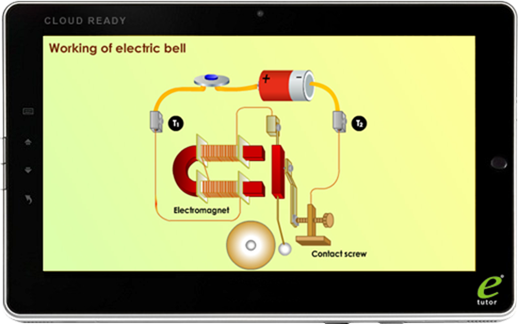 Coming back to E-Tutor tablet – according to information sent to us, E-Tutor comes with comprehensive curriculum based digital content that includes syllabus for CBSE, ISCE and State Board. They have curriculum specific 2D and 3D animated content, simulations, diagrams, and experiments that create a fun learning platform for K-12 kids. Video: support for AVI, RMVB, MKV, FLV, MP4, and 1080 HD formats etc. Music: support for MP3, wav, APE, FLAC, AAC, AC3, etc. Image browsing: BMP, JPG, TIF, PNG, GIF etc. The specs of tablet look good. It has a capacitive screen and 1.2 GHz processor with 1 GB Ram. I think for Rs. 7500/- this may surely be a good device for students. Let us know what you think about this tablet. UIDAI Phase III Approved & Funded – 20 Cr. Aadhaar cards to be released by March! Can anyone please post the link from where to register that tablet…. Nice Tablet and cheapest Tablet. best of luck to the team who is launching this – easy access to affordable education is the only way india can reach students across the country.